After years of searching for a great tasting gluten free bread for my gluten intolerant son and not finding it, I decided to rise to the challenge and create my own! Two broken ovens later, my solo kitchen quest for the perfect bread has evolved into a mission to make everything taste great, from rolls to muffins. 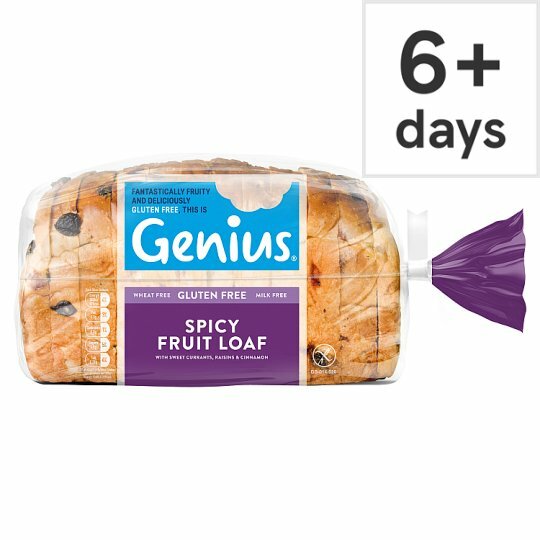 Because everyone deserves fantastic fruit loaf. Store in a cool dry place. If freezing, freeze on day of purchase and defrost thoroughly before use. If purchased frozen defrost thoroughly before use and use within 24 hours of defrost., Once defrosted do not refreeze., For Best Before Date, see bag tag.